Peel the pears, leaving stem intact. Combine all ingredients, except pears, and bring to a boil. Once the wine mixture is boiling, turn heat down to a simmer and add the pears. 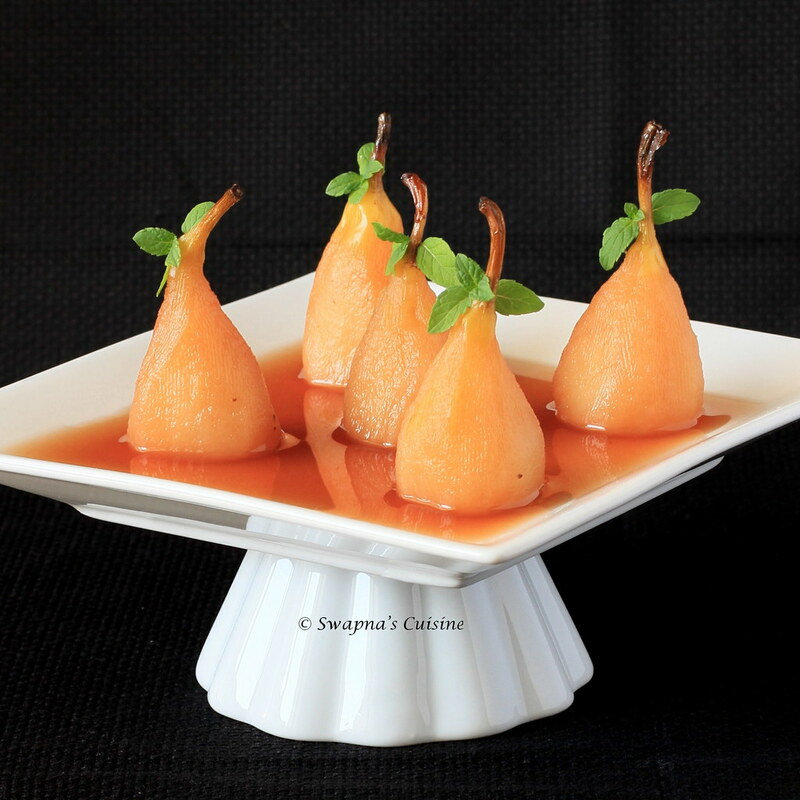 Simmer pears for 10-12 minutes and then turn pears and simmer for an additional 8-10 minutes; until they are tender and are easily poked through with a fork. 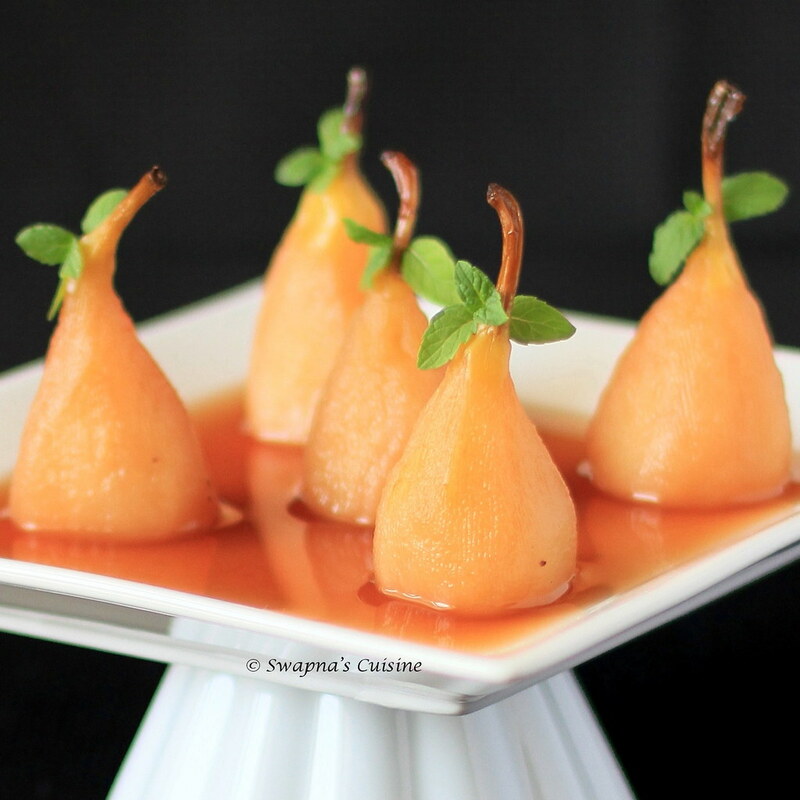 Remove pears and let them cool. Boil wine sauce until the liquid has been reduced by half. 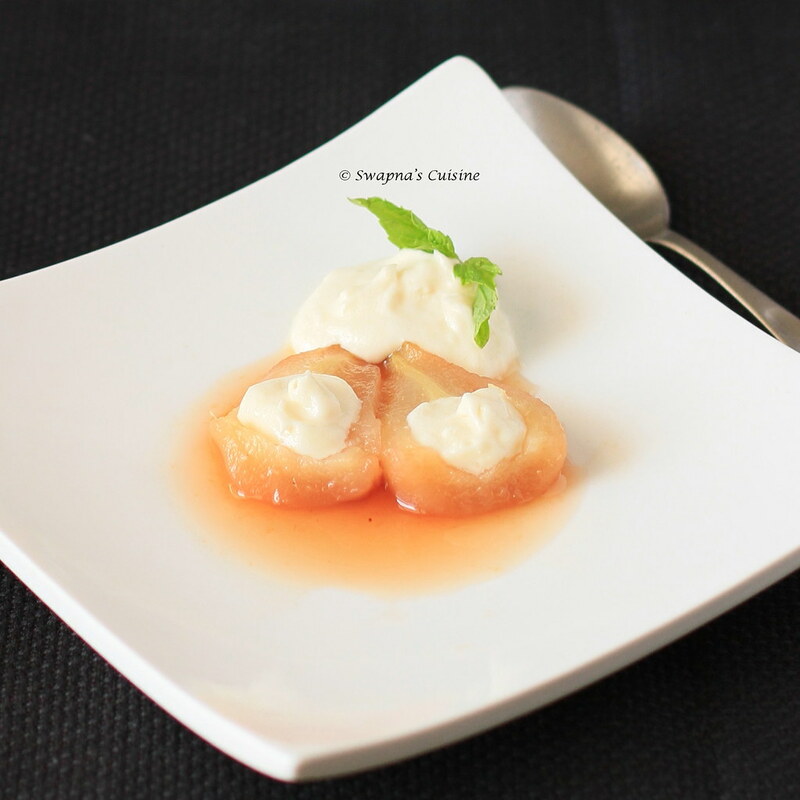 Pour sauce over pears and serve warm or at room temperature. Lovely pictures and presentation. Cute way to put mint leaves. Looks very elegant. I remember tasting something like this some time ago. 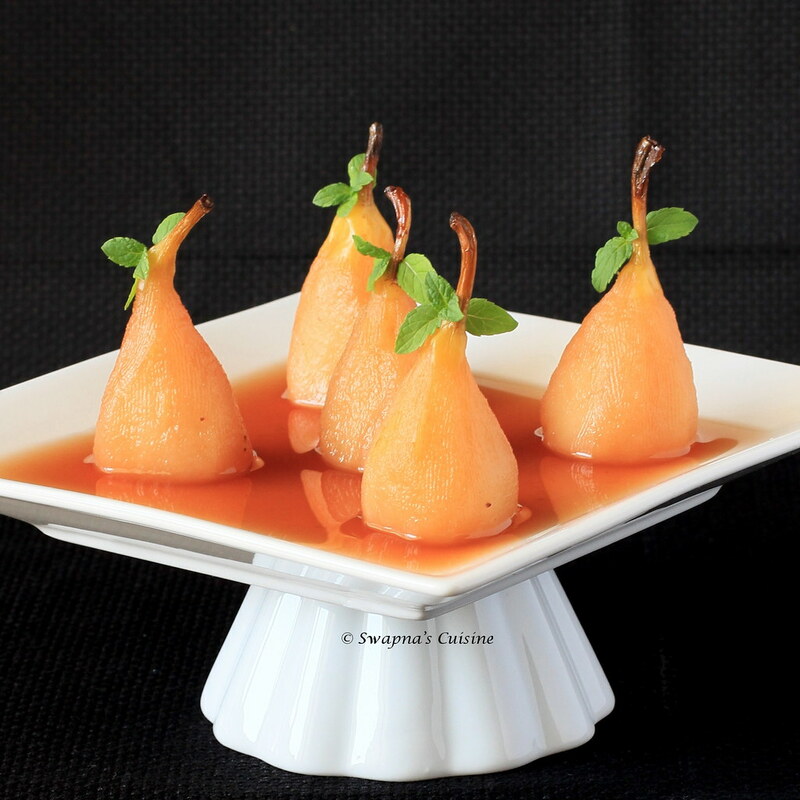 I was also planning to make poached pears this weekend but never got to it...your look so good...amazing clicks too..
Wow those poached pears looks damn cute and elegant. Readers I was waiting for Swapna to post this recipe so that I could let you all know that she shared it with me. (which she often does!!) We stay in the same building.This was an amazing dish. Me and my husband loved it!!! I am definitely going to try this myself!! They looks so cute,perfect and tempting pictures.